To some people, an inexpensive birthday party may be some kind of far off notion. To me, this is serious business. I LOVE birthdays. I love celebrating. I also love DIY, and going way over the top. The problem with my extreme passion is that the cost becomes over the top. 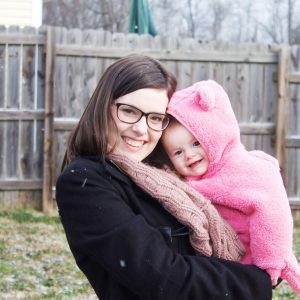 So after many kids birthday’s, I’ve come up with several strategies to make sure we have the BEST party ever and not spend a crap ton of money. If you read this blog regularly you’re probably tired of hearing this, but making a budget is always the first step to saving money. So, first of all, decide exactly how much you are OK with spending on the party total. Then you are going to want to break it down into categories to decide around how much you can spend in each section. Keep up with how much you are spending as you go through this process. 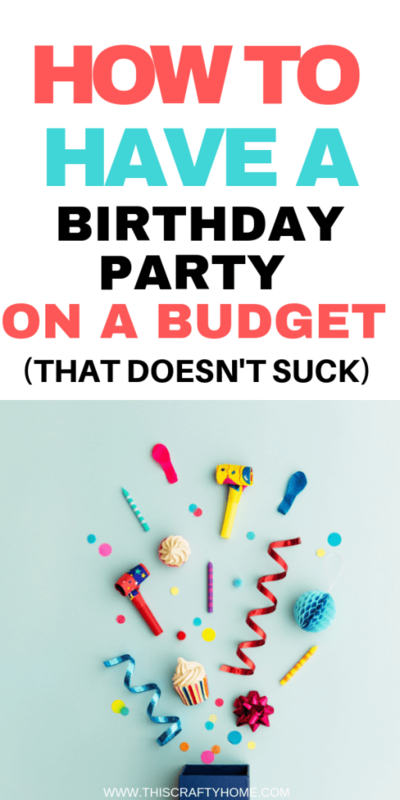 You can check out our free party planner budget below if you need help tracking everything! I know it is really easy to flip flop on a theme. But by deciding on a theme early you can search for deals for MONTHS instead of buying everything at full price the week before. This also gives you a ton of time to research, and work on any DIY projects you want to take on for the project. This goes hand in hand with our last suggestion and is a little obvious, but seriously, watch for sales and coupons! Research where some good party decor you might want is, and make sure to sign up for their email list. Keep an eye out for a decent sale! Using mainly paper decor is so cheap, and it is so beautiful! 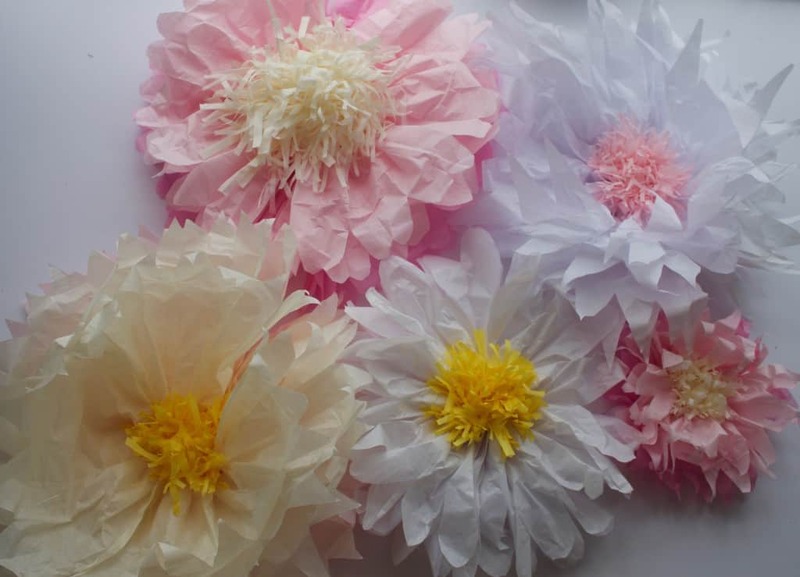 There is no reason why you can’t have an stunning birthday party done with only paper decor. My favorite place to buy party supplies is the Dollar Tree. Yes sir! They have an awesome selection of basic color pieces that make a great start to your party. Personally, I usually buy the bulk of my party supplies there, then I go to specialty stores for certain pieces that will take your party decor to the next level. If you are any kind of crafty, DIY’s are a great way to make amazing party decor on a shoestring budget. There are some epic DIY’s out there for DIY balloon garlands, I’m totally obsessed. They are so cheap! You can check out an easy tutorial for one here! The garland below was done with under $10 worth of products! Your best bet here is to just search on Pinterest and compile a good board of DIY’s for your theme. DO NOT, I repeat, DO NOT plan yourself ten million DIY’s and be totally stressed out on the day of the party. Guess what, it’s not worth your sanity. Plan a respectable amount of DIY’s and enjoy yourself. Can you tell I’m speaking from experience. Case in point the picture below. For my daughter’s first birthday I had the idea doing a Onederland birthday party, with cute vintage teacups and all. So I scoured thrift shops and flea markets until I found a ton of super cheap eclectic clocks, teacups, and tea sets. It turned out beautiful! Of course it would have been even more beautiful without the pouring rain at an outdoor party, but what can you do. If you have a theme that would be cute with ‘real’ things and not just paper decor thrift shopping is the way to go. This is something that I haven’t done myself (yet) but I have seen from time to time. People will sell all their used party decor from their party on Facebook Marketplace. One, this is straight up genius on their part. 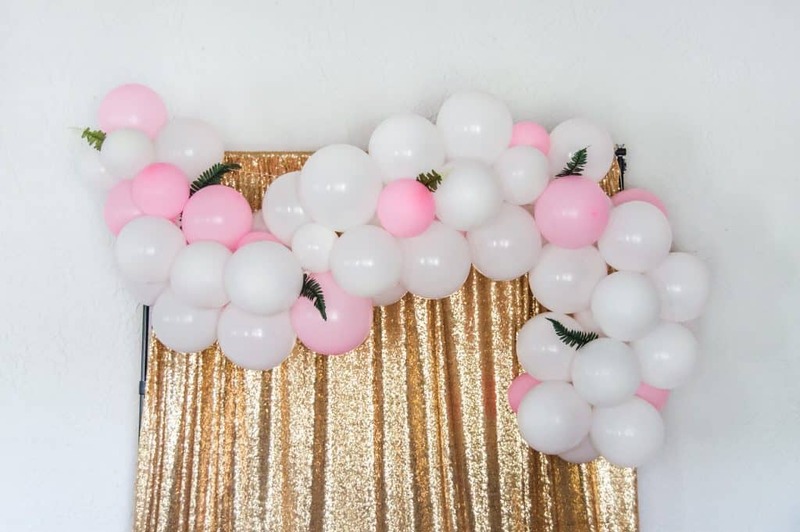 Two, it is even more genius for you to pick up party decor for cheap! I have reused my own party decor A TON of times. Even the cheap paper stuff. As long as you are careful with it it can last ages. One of the biggest expenses with parties is the food. Depending on the size of your guest list it can get really out of budget really fast. Typically I plan to do parties right after meal times so you can do snacks and not a full on meal. You can even go as far as just having cake if you’d like, but I’d recommend having something to munch on. In season fruit is usually a safe bet! Every year I look at a baker to do my kiddos cake and every single year I end up doing it myself, and they actually don’t turn out too bad. Do a practice run a couple weeks before, it’s totally worth it to not stress as much the day of. If you can make the cakes the day before it will give them plenty of time to cool. Find a good tutorial online if you are nervous. I’ve usually made a few from various tutorials and even a little guidance helps. So if you have multiple kiddos the birthday cost goes up even more. So try to pick a theme that has some kind of overlap so you can reuse aspects of your decorations. This could be a simple color to actually sharing a birthday party if their birthdays are close enough. Birthday party venues are really nice because they take care of a ton of things for you and you don’t have to worry about a million people in your house. But they are also expensive. If you cant find a decently priced place to have your birthday party your home is a perfectly viable option. We’ve actually done all of our parties at home, and while it’s stressful it has also been a blast! So the sad truth is each person you add to your guest list does add a cost, even if it is small! Try to keep your guest list short, but if you just can’t limit make sure to follow all the other tips here closely to stay on budget! As kids get older and tend to have more school friends than family at their birthday parties there seems to be a party every other weekend you have to attend. 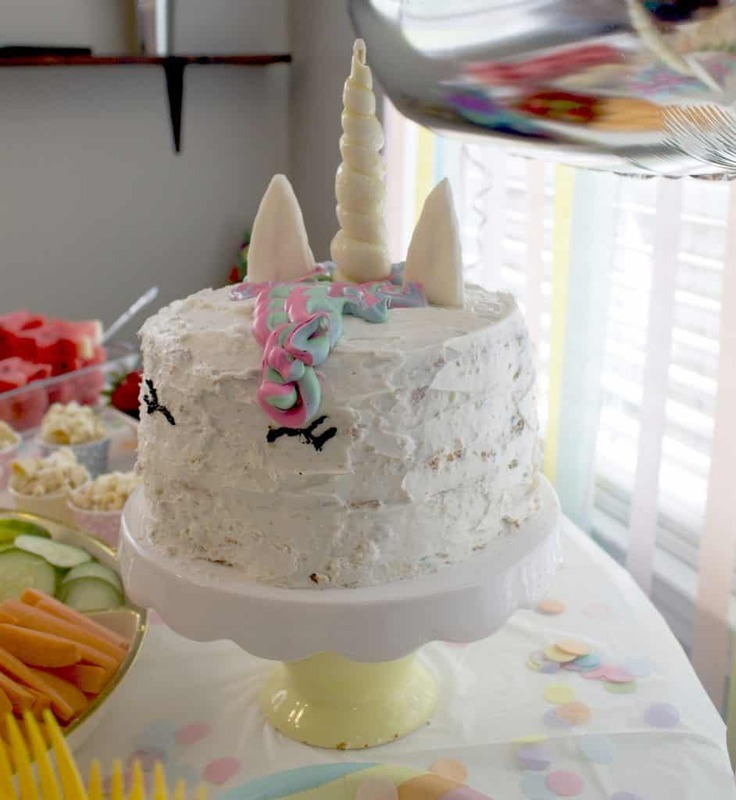 If your kiddo has a friend who has a birthday close to them it is totally acceptable to ask the kids parents if they are planning to do a party and see if they’d like to team up and split the costs. My parents actually did this when I was a teenager, or me and a friend decided we would have our birthday’s together. It was fun for everyone and helped our parents save a little money too. Not that I realized it then. So instead of having a birthday party at all you can always do an experience instead. Take you and your family their the birthday kid’s favorite place to eat, to the zoo, to the park, wherever they are happiest! It’s completely OK to go your own way for birthdays and just celebrate the kiddo with your immediate family. Find a tradition and go with it! What’s your favorite inexpensive party tip? Want more of my money saving tips? Make sure to sign up for my email list below! Love this post? Save it for later!